Firstly, I'm pretty stoked about the huge improvement in image quality, not in the least because it was free. To put things in perspective this firmware has allowed 5D users to do things that only very expensive cameras do, such as the Canon 1D-C, Red Epic, Arri Alexa - that is, shoot/record in RAW. Black Magic continue to challenge the big brands with their competitively priced camera range, but they utilize a much smaller sensor than that of the 5D. The ML firmware has certainly super-charged these little units meaning the 5D (mk3) once again punches well above it's weight. Clarity and Sharpness remain since by-passing the compression of the standard H.264 codec. 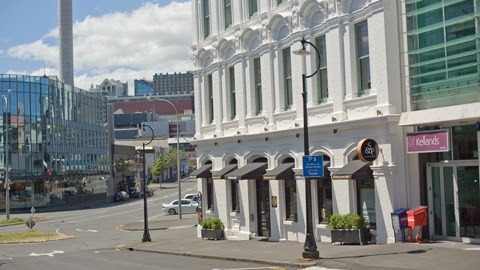 NZ is famous for the harshness of our sun and filming in the middle of the day it's hard to avoid extreme contrasts in light. Frequently skies blow out or shadows lose all detail. The image below was also taken from the RAW footage. I exposed for the highlights thus crushing the blacks. When 'developing' the raw file I was pleasantly surprised to find plenty detail retrievable in the shadows. 1. Renamed files using Actions app. 2. converted RAW files to DNG's using RAW2CDNG app. 3. Imported files into Davinci Resolve. 4. Exported files as MXF files and an AAF to Avid MC. 5. Edited movie in Avid. 6. Exported AAF from Avid to Resolve. 8. Exported AAF to Avid. I am still ironing out the wrinkles in my workflow. i.e. problems round-tripping AAF's to and from Avid and Resolve. The annoying teething problems will disappear once a solid workflow is established. 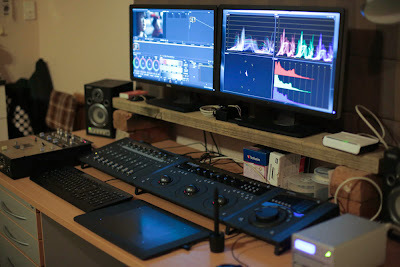 Davinci Resolve. 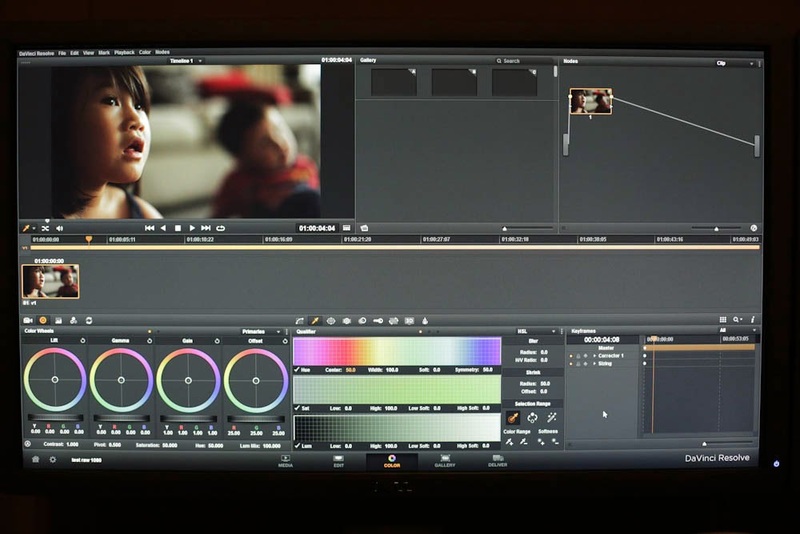 Resolve is quite different in its layout to other programs I've worked with so it took me a while to get my head around it. Upgrading from version 9 to 10 also set me back a bit. BTW You have to upgrade to version 10 to be able to work in the BMFilm color space. I have only scratched the surface with this software and look forward to learning all the quick keys etc to get some good flow going. 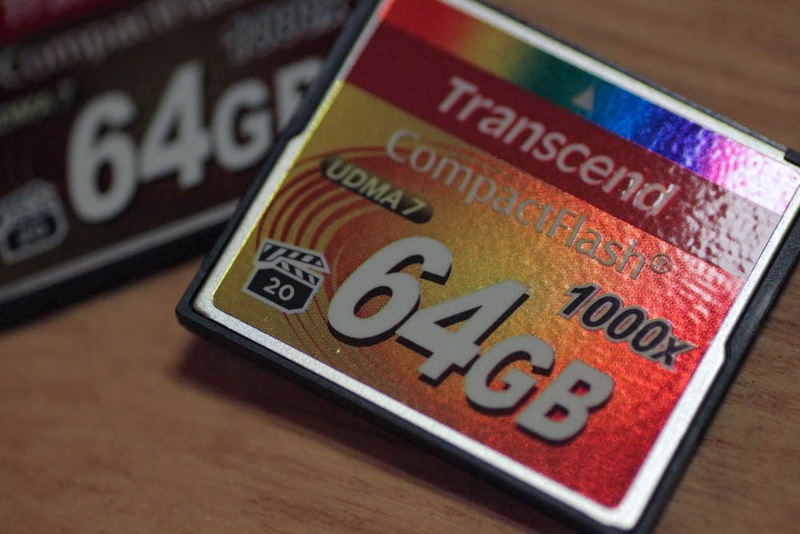 Transcend 64GB 1000x. These cards are awesome. I had no problems at all and they performed as they should. Being in NZ Komputerbay was not an option so these were the next best thing and probably better. 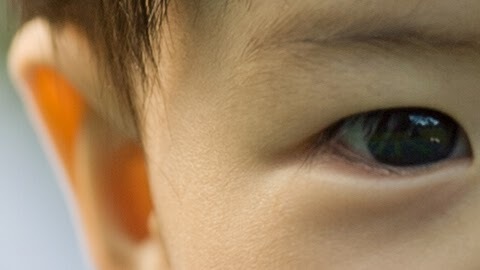 Lenses. I used two main lenses for this test - canon 50mm f1.4, canon 135mm f2.0 L. Your lens choices are going to influence the look of your movie no matter what camera of what format you shoot in. The last lens I bought was the Canon 24-105mm f4 L which was sufficient when I was shooting H.624. The heavily compressed images were not inspiring me to invest in better glass. Now that I can see real clarity and greater detail I am once again seriously contemplating that perfect prime lens. ND Filters. One thing I disregarded completely for this test was the shutter speed. Although I have ND filters I wanted to keep the test as simple as possible. As a result the shutter speed often rose towards the upper limit of 4000 meaning movement looked less filmic and more hip hop music video. For any serious work I would probably go for a matte box and some quality ND's. There have been exciting developments in the DSLR world, particularly for owners of the Canon 5D mk3, thanks to the amazing work of the Magic Lantern team. 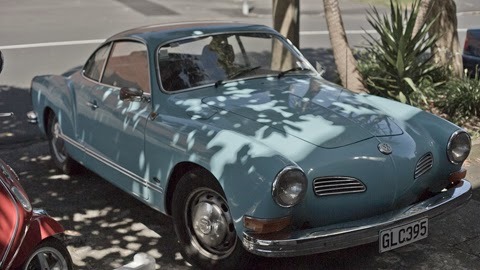 They have brought 1920x1080 RAW capabilities to our mk 3's free of cost. This is a big deal as it really improves the image quality of our videos. 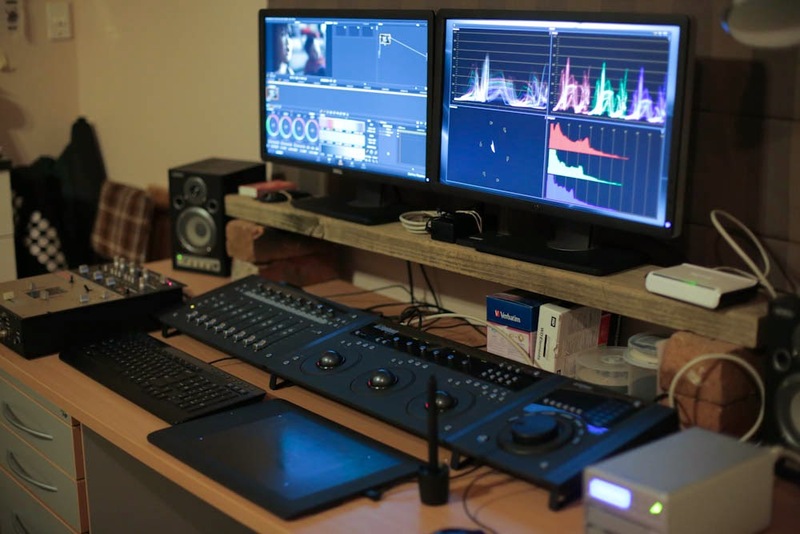 Meanwhile Black Magic Design have also been offering their colour grading software Davinci Resolve for free for some time now. The combination of these tools is powerful indeed. There is plenty of information out there to help you get going with a raw workflow. I am not hugely technical but eventually managed to work it out from online info. And Now i am RAW ready! Here's a few pix of my set-up. Davinci Resolve Lite 10 (free download). I'm still getting my head around Resolve but I can already see the potential power of it. 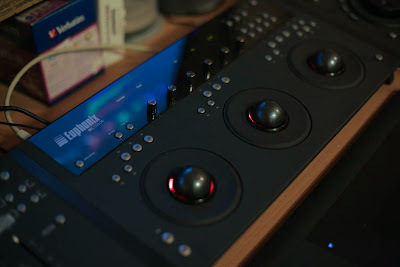 Euphonix MC Color controller compatible with Resolve, Avid MC and more. Not essential but after using one you will struggle to go without. 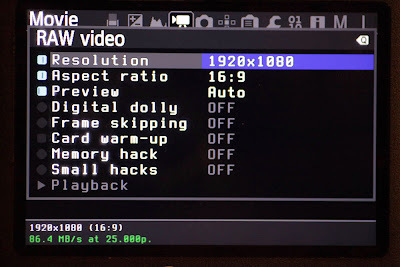 Screen grab of Magic Lantern firmware RAW video page. 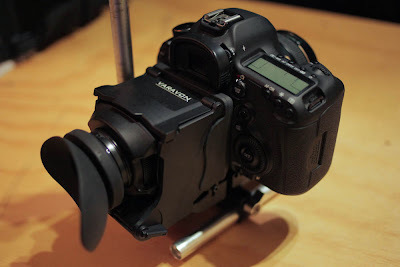 The firmware is copied to the SD card so it runs in conjunction with the standard canon firmware. I haven't had any freezes nor over-heating. But you will need a couple of these - 1000x CF cards. 128GB will store 23 mins of RAW footage. I got mine from B&H for US$169 each. So far my only expense. I will shoot some test footage this weekend so stay tuned!